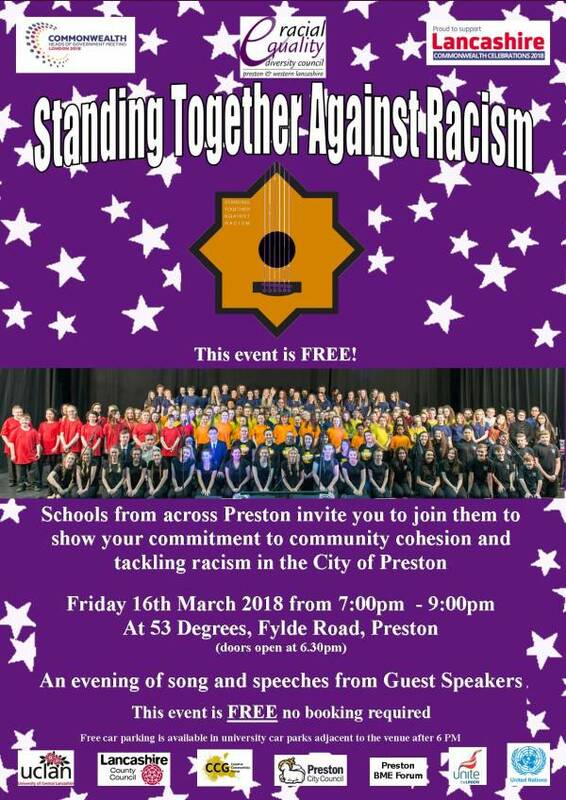 Schools from across Preston invite you to join them to show your commitment to community cohesion and tackling racism in the City of Preston. This event is FREE no booking required. Free car parking is available in university car parks adjacent to the venue after 6 PM.